The mobile application is changing our world and daily life activities that we never imagined. From banking, to booking a cab everything can be done over smartphone just by one click isn't that amazing. Enterprises are engaging with the application for revenue growth much more than ever. Mobile developers are building something new every day that could be integrated into our daily life. It is true mobile app industry is at its peak point in terms of revenue due to apps invasion in the business world. Apart from revenue and profit, mobile applications are also utilizing as a medium to solve minor to a major issue in a city. Detroit currently using an application Name Improve Detroit to address and resolve the city and neighborhood issue. 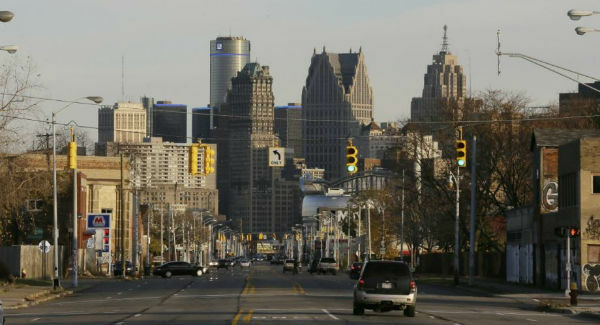 It can be considered as a digital campaign against all the faults and residential issues in Detroit. It is an application works as a channel between the Detroit residents and work authorization to sort out an issue like potholes, fallen trees, broken streetlight. The main agenda of the application is to improve the city condition with the help of residents more quickly and efficiently.The application allows the user to complain about any issue by taking a photo and submit it with the description, authority starts working on it as soon they get the submission. City staff also notifies you about the status of the complaint you can also comment on the submission. Open Improve Detroit And Select the Report tab. Type in the Street Address or you can drag the map marker to the location of your complaint. Choose the specific Category relevant to issue from the drop-down menu. You can also answer an optional question to give some additional detail to staff. Issue Title (required) will be prefilled. Enter a brief or detailed Description (optional), and attach an Image (optional). With the help of app Detroit authority able to resolve about 67,000 issues in the city. Improve Detroit helped in addressing nearly about 9,000 illegal dumping sites in the neighborhood. Almost every traffic signal is working properly across the city. All the potholes and road issues solve immediately without any delay. Mobile app technology is something you can transform into any form for the betterment of our lifestyle. This usability of the mobile application is stunning and proves that there is no limitation of technology, all we need is to think how to implement it. Detroit is successfully using the functionality of Improve Detroit App and planning to integrate some more options into it. NEXT Is Emerging Low-code platforms trend are Threatful for Developer? Target has added ‘Wallet’ feature to its Android and iOS apps. This is going to help the customers who own Target’s RED credit and debit cards to add it and then make the payments by scanning a QR code. Customers would require opening the ‘Wallet’ inside a Target store.